There are fundamental differences between the slums of America and the slums of other regions of the world. Let’s talk about America first. Slums in American are by-and-large the by-product of shifts in types of business within regional areas. In a country where the total employment ranges between 3% and 7%, most of America is working. But when a region that specializes in heavy manufacturing loses major factories to offshore manufacturing or other states that incentivize manufacturers to relocate, it suffers job losses. America has been gradually shifting from a manufacturing economy to a services economy, which can also lower employment opportunities for blue-collar workers. 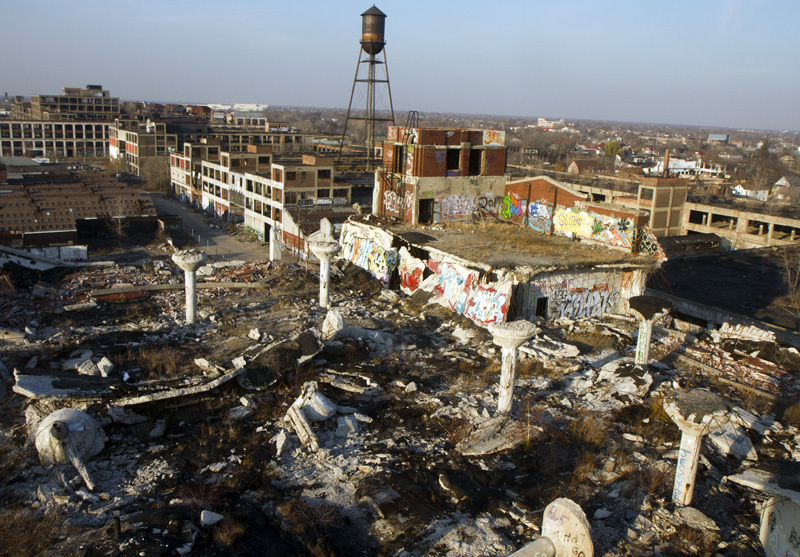 Downtown Detroit abounds with abandoned factories where businesses pulled out in favor of cheaper manufacturing areas elsewhere in the country, leading to pockets of massive unemployment. High unemployment areas place a strain on government services, as tax revenues decrease, and services such as unemployment assistance, food stamps, and retraining expenses increase. Logically, so does crime. Most cities underwrite cheaper government housing, either in the form of row homes or high-rise affordable housing. Sadly, most of these ambitious projects of the 1950’s turned into failed social experiments, because poverty was concentrated in a dense area, allowing gangs to quickly take control. 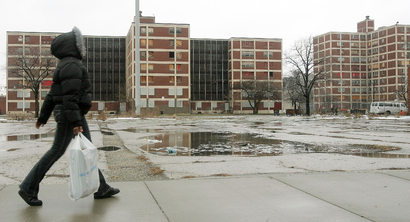 On March 30, 2011, the final high-rise of the once-infamous Cabrini-Green housing projects in Chicago were torn down, and most dwellers were relocated into lower-middle-class neighborhoods where they could be integrated into a more balanced society..
Cabrini Green in the 1980’s. No, the story doesn’t end here, because neighborhoods throughout USA cities still face microcells of gangs and major poverty pockets. Sadly, there are kids in crime-ridden neighborhoods of major cities who live a few miles from a vibrant downtown yet have never left “the hood” for fear of violence. But here’s a glimpse of the future, should American unemployment double or if nearly 20% of its citizens have stopped filing for unemployment benefits and are basically “off the grid.” In the favelas of Rio de Janeiro, squatters built colorful shacks high up in the mountains, which formed communities that were “off the grid” as far as the city government was concerned. There was often no infrastructure provided: no streets, no electricity, no running water, no schools, no fire stations or hospitals. Residents fended for themselves. The locals continued to build on free land until many favelas approached one hundred thousand residents. The default governing body of each hill often became the local drug lord, who lived at the very top, inaccessible by the police. As the money trickled down from above, locals could use cell phones to alert the gangs above that there were intruders. Ironically, as dangerous as the areas were, there was an odd “honor among thieves” and most residents were left alone. 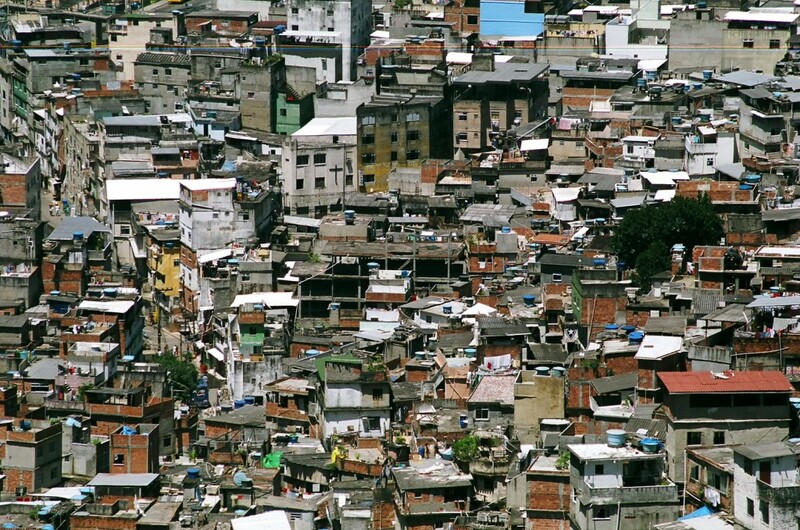 In Rio today, there are over one million poor living in favelas in a city of six million. But with the 2016 Olympic games, some of this favela land has become strategic to locating Olympic events and housing. The government began to reclaim some favela land in 2008 in preparation for the 2014 World Cup and accelerated cleaning up the slums for the day when the world watches the opening ceremonies of the summer Olympics in 2016. Special forces, called Batalhão de Operações Policiais Especiais, better known as “BOPE” has been engaged in battle with the gangs for control of their turf. 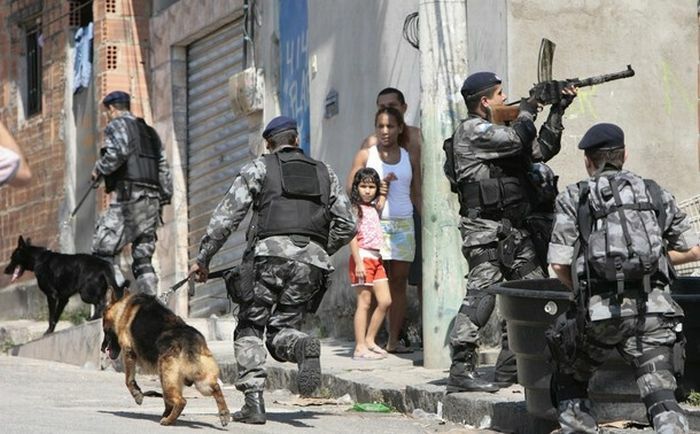 Although the official program is “pacification” of the favelas, BOPE forces have only been trained for combat, not socialization and gentrification. The net result is chaos. 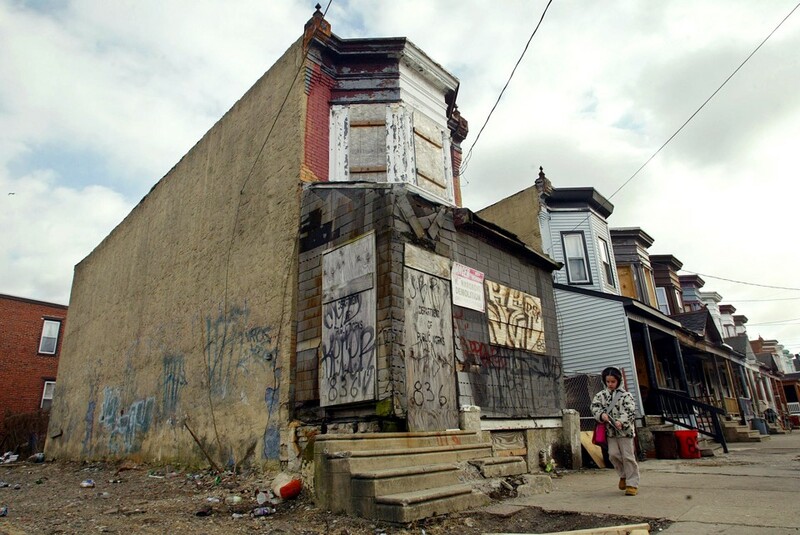 America has its slums and certainly pockets of gangs. But all land is deeded, developed, has roads, water, and electricity. Residents have access to free primary and secondary education. Hospitals are nearby as are fire stations and police departments. None of this exists in most of the Rio favelas. 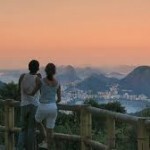 Begin your experience of Rio’s favelas right now by downloading the first six chapters for free. CLICK HERE.